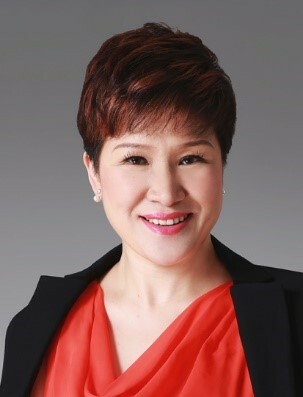 Melissa Khoo is currently Group Director, Ageing Planning Office. Prior to this, she headed the Strategic Planning and Futures branch in PMO Strategy Group, and the Institute for Public Sector Leadership at the Civil Service College. 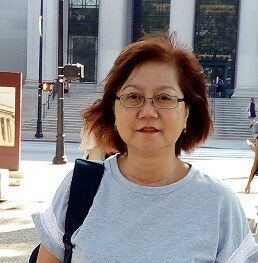 Melissa started up the “Our Singapore Conversation” Programme Office in 2012, which led a national-level long citizen engagement exercise, including conversations on ageing. Her past stints in government include the Ministry of Education and the Ministry of Finance. Melissa graduated with a Bachelor of Economics (Distinction) and Masters in International Policy Studies from Stanford University in 2003. “Singapore will undergo rapid population ageing over the next one to two decades, with 1 in 4 Singaporeans being over 65 by 2030. Care needs will grow, while workforce growth will taper off. Our response to ageing will require a whole-of-society effort. This address will cover ongoing and future plans to transform the future aged care landscape, and how the Community Networks for Seniors plays a key role as our national community-based infrastructure to support an ageing population”. Dr. Feng Qiushi is an associate professor at the Department of Sociology, National University of Singapore (NUS), and a steering committee member of the Centre for Family and Population Research (CFPR) in NUS. His research fields include aging and health, population sudies and economic sociology. What is Successful Aging for Singaporeans? Successful aging is the goal of Singapore in face of the greying future. The American concept of successful aging highlights ideal of independence, which is highly associated with the individualism culture. This may not match the aging norm of many Asian societies. Through qualitative interviews and a national representative survey, we find at least half of elderly Singaporeans simultaneously value independence and dependence for successful aging. Such ambivalence makes sense given the current transformation of Asian cultures of aging and eldercare. As the eldercare function of family is highly valued by elderly Singaporeans, we propose whether family delivers eldercare as expected by elderly could be a main marker of the society-level successful aging in Singapore. 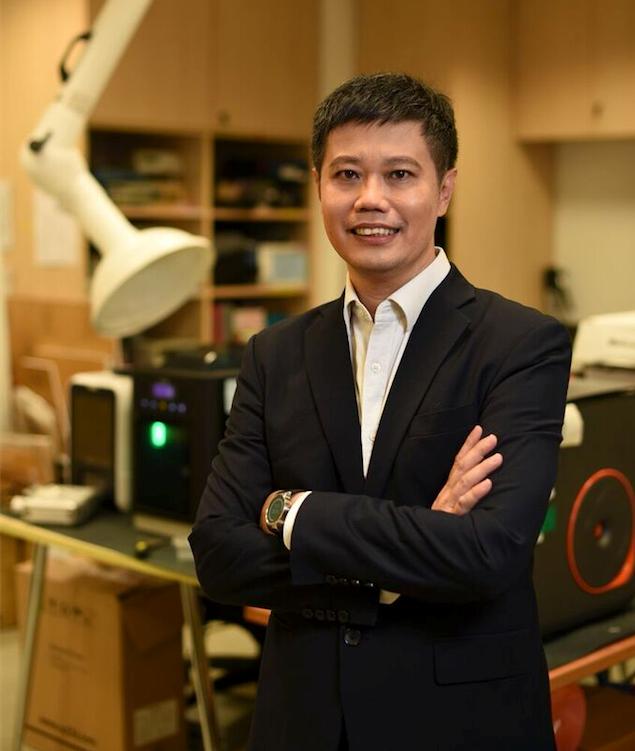 Mr Kelvin Tan is currently the Programme Director, NUS Enterprise, National University of Singapore and Director, Business Development, Smart Systems Institute (SSI). In NUS Enterprise division, he is identified with co-developing corporate accelerator programs with SIA, DSTA, Bayer, Loreal and P&G. He co-organises the largest SE Asia innovation event: www.innovfestunbound.com for last few years with IMDA and SNDGO. Currently, he co-leads a 4-year old Modern Aging Spore program funded by MOH and has inspired startups in developing innovative seniors solutions. In research, he is involved with assistive technologies for dementia seniors. SSI has advanced data analytics and AI research partnerships with TsingHua, ZheJiang, Southampton and Keio Universities. Prior to joining NUS, he founded an interactive multimedia startup and held management positions in HP, AT&T, M1, ServTouch-WyWy and Telecoms Authority of Spore. 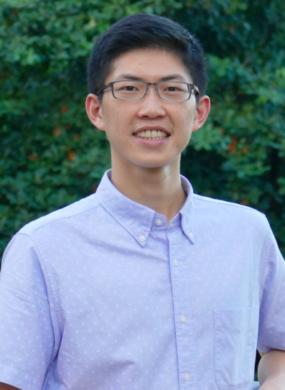 He is a Student Fellow (Sau Po Center for Ageing, HKU), holds a Master in Gerontology (SUSS), MBA and BEng in Electronic and Communications (University of Manchester). With the quickening pace of change in the age of innovations led by technology breakthroughs and human ingenuity, we have seen more improvements made to enhance medication adherence and management. Seniors can be supported by new technologies in medication reminder and routines. Caregivers and family members can partake in the process of care and attention to the seniors at community level. Overall, the quality of life and general health conditions will be upgraded with higher acceptance of technology. This session will share the work that the corporates and the startups have accomplished in driving the mission of personalized care in an active ageing environment. Initiatives like Modern Aging has built an ecosystem of like-minded players to be inspired and work collaboratively in developing smart and personalized solutions which bring more benefits and convenience to the seniors. Jeannie Ho (Mrs), Director, Senior Cluster Network & Active Aging Hub, NTUC Health Cooperative Ltd.
Jeannie holds a Bachelor of Business Admin (HR) in 1999 with La Trobe University (Australia), Masters in Social Science (Counselling) in 2001 with University of South Australia, and Masters in Gerontology in 2015 with SUSS (then UniSIM) Singapore. After 18 years in the corporate sector, she joined the social service disability sector and held roles as HR Director, PDPA Officer and Corporate Development & Outreach Director in MINDS over 14 years. 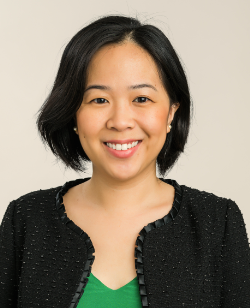 She joined NTUC Health in August 2014, overseeing the Senior Cluster Networks, CREST programmes, Senior Group Home, Volunteer and Partnerships, and recently the cross programming for NTUC Health’s Active Aging Hubs. Kampung Admiralty is HDB’s first experimental integrated retirement village, and NTUC Enterprises is honoured to have the opportunity to partner the government and grassroots to serve the community there through an offering of services from childcare, eldercare, foodcourt and retail supermarket. To rebuild Singapore’s gotong royong spirit of neighbourliness, mutual help and support, NTUC Health which operates the active aging hub developed the community volunteerism programme focusing on the 4 key pillars of helping seniors (1) Stay in Good Health, (2) Stay Connected and Purposeful, (3) Stay Independent, and (4) Bringing the community together. NTUC Health does not charge a membership fee for seniors to participate in the health and social activities/programmes it offers. The only condition for participation is that the members must commit to volunteer their time and talent to serve the frail, and to build a cohesive community of caring and sharing. Dr Eugene Shum is the Chief Corporate Development Officer at Changi General Hospital and Director, Community Partnership at SingHealth Office of Regional Health. He oversees health, social and community engagement and integration for healthcare services in the community. Dr Shum is a public health physician. 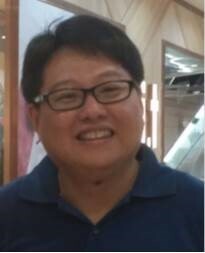 He is Adjunct Assistant Professor at the Saw Swee Hock School of Public Health, National University of Singapore. Neighbours for Active Living is a health-social integration programme which aims to keep seniors with frequent readmissions to hospital to age well in their own homes. It brings together a team of health and social care professionals from Changi General Hospital, social service organisations and community volunteers. This approach allows the seniors to receive holistic care and support for as long as they require it. Neighbours was launched in 2012. It has scaled across the eastern region of Singapore and has benefited more than 5,000 seniors. Assistant Professor Dong is a Clinician Scientist awarded by the National Medical Research Council. She holds joint appointments at Alice Lee Centre for Nursing Studies and Yong Loo Lin School of Medicine, NUS. She has clinical research expertise in neurocognition and brain training in older adults with mild cognitive impairment. Cognitive training intervention for older adults has been suggested to remediate cognitive deficits, promote functional independence and potentially prevent cognitive decline. Although there are promising findings from the west, cognitive training for local population requires adaptation for cultural and linguistic relevance. My talk will focus on a pilot study evaluating a locally developed cognitive training group program, “Train Your Brain” for memory clinic older adults with mild cognitive impairment. Mr Julian Koo is the co-founder and CEO of Jaga-Me Pte Ltd (www.jaga.sg) - a digital platform which gives people with chronic illnesses the freedom to receive healthcare services and products at home, beyond the walls of a hospital or nursing home. He founded Jaga-Me to alleviate the challenges he saw amongst the elderly persons he volunteered among. His passion is to harness innovation to reduce the barriers to having healthcare delivered on-demand to people’s homes, and so reduce reliance on institutional care homes. Prior to Jaga-Me, Julian was responsible for securing new foreign direct investment and creating new industries at the Singapore Economic Development Board. The fundamental idea of Jaga-Me is to bring healthcare closer to people using technology. Through a web and mobile app platform, Jaga-Me facilitates the delivery of healthcare services and medical goods to patients at home. Jaga-Me now serves over 1,000 patients in their own homes. Through this, Jaga-Me aims to create a healthcare system that is decentralized, and can deliver care to where the patient chooses.